Toyota City, Japan, November 28, 2011—Toyota Motor Corporation (TMC) and Yamaha Motor Co., Ltd. (Yamaha Motor) are collaborating in the development of communications-linked next-generation vehicles with the aim of building a new mobility society of the future. 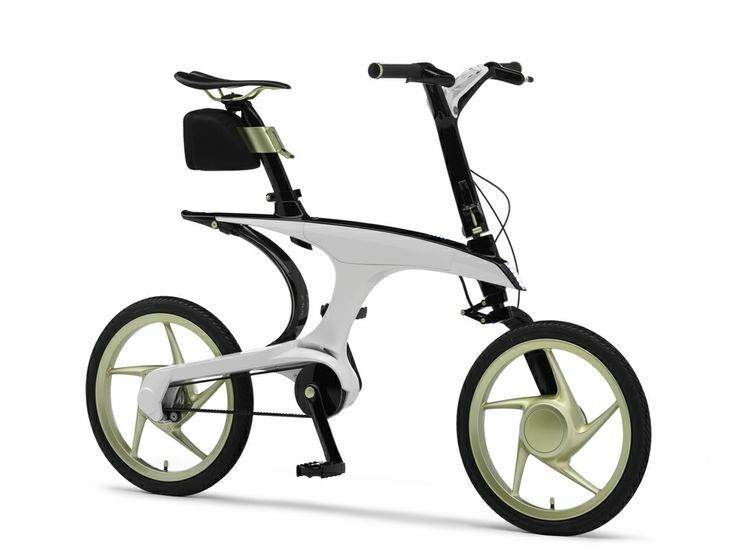 A part of this collaboration is their joint exhibition of a communications-linked electric commuter concept and an "electrically power assisted bicycle" concept at the 42nd Tokyo Motor Show 2011, to be held at Tokyo Big Sight from November 30 through December 111. The vehicles will be displayed in the TMC booth at the Smart Mobility City 20112 exhibit. The objectives of this collaboration between TMC and Yamaha Motor are threefold. The first is to build a comprehensive information infrastructure early on, in which vehicles made by both TMC and Yamaha Motor can share the same charging infrastructure and integration with the Toyota Smart Center3. The second objective is to establish new transportation systems, including those to aid vehicle sharing system. The third is to reduce development costs for IT services. The two companies plan to start verification tests in the near future, with an eye toward commercialization of communications-linked products and IT services. Vehicle navigation and telematics services that use smartphones and Wi-Fi communications will be made available to certain Yamaha Motor-produced vehicles to provide information such as charging-station location, charging-station availability and charging-completion notification. The two companies will also work toward expanding charging infrastructure, such as the "G-Station" charging station to be provided by Toyota Media Service Corporation for use with EVs and PHVs, that can be shared by both two-wheeled vehicles and automobiles. In addition, various types of communications-linked services will be offered, including distribution of vehicle-sharing information (reservations, charging status/authentication, and payment) and uploading of diagnostic information to be used for vehicle maintenance. Since the joint-development of the Toyota "2000GT" launched in 1967, TMC and Yamaha Motor have built a strong collaborative working relationship in a wide range of fields, such as the development and production of high-performance engines and automotive components. Now, the two companies are planning to strengthen their cooperation in this field of communications-linked next-generation vehicles.